Competitively priced thermocouple protection sheaths available on a speedy delivery. We manufacture all types of protection sheaths (with or without probes) in our workshop. Kanthal, Inconel 600, Chrome Iron, 253MA, and Stainless Steel tube. 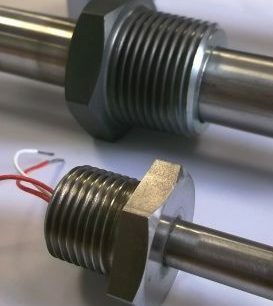 Tubes closed from 12.7mm diameter up to 33.4mm diameter. Imperial and metric threading. From tube to sheath, at the right price and in good time! Contact us for more information and to get a quote. 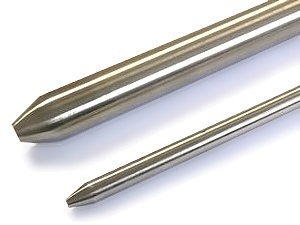 Thermocouple protection sheaths give you that extra peace of mind when your temperature sensors are exposed to harsh and damaging environments inside the chamber. Our manufacturing capabilities allow us to close the end of tubes from 12.7mm diameter up to 33.4mm diameter. We thread both imperial and metric, male and female threads onto tube and sheaths, and we stock ceramics (alumina and silicon carbide), and thermocouple accessories such as bushes, heads and flanges if needed. If you have your own material but no means to manufacture it into the required tube or sheath, we will deal with it for you! Contact us now for a competitive price and *turnaround! *Delivery times will be subject to stock availability at the time.